The Association of Friends of the Brandenburg Symphony Orchestra held their sixth biennial competition for composers. There were nearly 300 participants, but only three were rewarded with prizes. 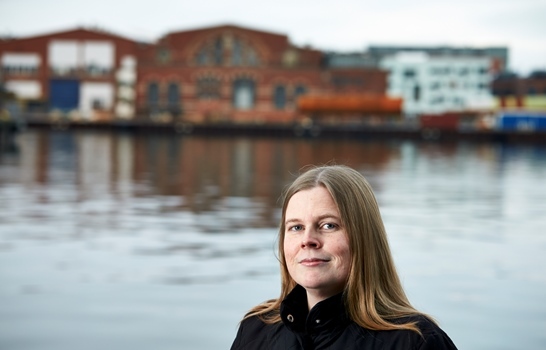 Swedish composer Britta Byström was awarded the Da-Capo Prize together with Sakiko Osaka. The work that won Britta Byström the prize was her Viola Concerto ”A Walk After Dark” which was premiered in February 2014 by the eminent violist Ellen Nisbet. The Viola Concerto is made up of six movements that are combined by five ”walks” where the music is inspired by melody from West Africa, usually played by the string instrument n’goni. ”In my mind the viola is an instrument which in expression lies very close to the human voice. In this concerto the soloist is magnetically drawn towards a very singable psalmlike melody.” Other inspirations for the concerto come from Sigmund Freud, and not least from the Byström’s Swedish colleague, Anders Eliasson who died in 2013. The work is dedicated to his memory. The Brandenburg Symphony Orchestra will perform the Viola concerto at a future concert, date still to be announced. The main composer’s prize at the sixth biennale was awarded to another Swedish composer: Jesper Nordin.